Hobyo (Somali: Hobyo, Arabic: هبيا‎‎), also known as Obbia, is an ancient port city in the north-central Mudug region of Somalia also known as The Heart of Somalia. Sultanate of Hobyo led by Yusuf Ali Kenadid used to rule Hobyo in 1870s. Along with Mareeg, Hobyo developed as a coastal outpost of various Sultanates established by Somali pastoralists between the 15th and 19th centuries. 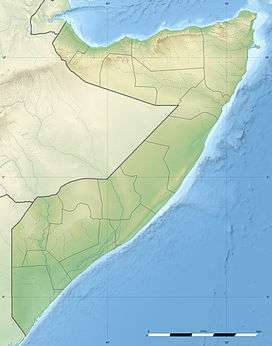 From the 13th to 17th century Hobyo was ruled by the Ajuran Sultanate. However, in the late 17th century the Hiraab successfully revolted against the Ajuran Sultanate and established an independent Hiraab Imamate, which included Hobyo. According to Dr. Bernhard Helander of Uppsala University, "the Imam of Hiraab is a hereditary position that traditionally is held by a person of the first-born branch." "According to local oral tradition, the Hiraab imamate was a powerful alliance of closely related groups who shared a common lineage under the Gorgaarte clan divisions. It successfully revolted against the Ajuran Sultanate and established an independent rule for at least two centuries from the seventeen hundreds and onwards. The alliance involved the army leaders and advisors of the Habar Gidir and Duduble, a Fiqhi/Qadi of Sheekhaal, and the Imam was reserved for the Mudulood branch who is believed to have been the first born. Once established, the Imamate ruled the territories from the Shabeelle valley, the Benaadir provinces, the Mareeg areas all the way to the arid lands of Mudug, whilst the ancient port of Hobyo emerged as the commercial capital. Hobyo served as a prosperous commercial centre for the Imamate. The agricultural centres of Eldher and Harardhere included the production of sorghum and beans, supplementing with herds of camels, cattle, goats and sheep. Livestock, hides and skin, whilst the aromatic woods and raisins were the primary exports as rice, other foodstuffs and clothes were imported. Merchants looking for exotic goods came to Hobyo to buy textiles, precious metals and pearls. The commercial goods harvested along the Shabelle river were brought to Hobyo for trade. Also, the increasing importance and rapid settlement of more southerly cities such as Mogadishu further boosted the prosperity of Hobyo, as more and more ships made their way down the Somali coast and stopped in Hobyo to trade and replenish their supplies. By the late 19th century, the imamate began to decline. Faced with internal problems, the imamate also faced challenges from the imperialist forces as well as the Zanzibari sultan, and even the Portuguese in the earlier years. By then, a young ambitious rebel called Kenadiid managed to invade Hobyo with the aid of the Italians. However, after few years, he was disposed and overthrown by a former commander of the Imamate named Guuleed Faarax Jeex who put Hobyo back into the hands of the Imamate for a short period of time . Soon afterwards, the entire region was snapped up by the fascists Italians and it led to the birth of a Modern Somalia. However, the Hiraab hereditary leadership has remained intact up to this day and enjoys a dominant influence in national Somali affairs." Following independence in 1960, Hobyo was made the center of the official Hobyo District. 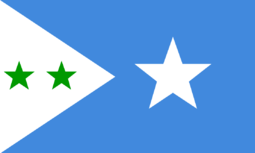 It was later incorporated into the autonomous Galmudug administration, which was established in 2006. Hobyo has a population of around 11,800 inhabitants. The broader Hobyo District has a total population of 67,249 residents. The city is primarily inhabited by people from the Somali ethnic group, with the Habar Gidir well-represented. Hobyo has a small seaport. For air transportation, the city is served by the Obbia Airport. ↑ Lea, David; Rowe, Annamarie (2001). A Political Chronology of Africa. Europa Publications. p. 378. ISBN 1857431162. ↑ Bernhard, Helander (1994-01-19). "The Hiraab Treaty". Somalia News Update. Uppsala, Sweden: Dr. Bernhard Helander, Uppsala University. Archived from the original on 2007-02-24. Retrieved 2009-03-31. The Imam of Hiraab is a hereditary position that traditionally is held by a person of the first-born branch, the Mudulod. ↑ Somalia City & Town Population. Tageo.com. Retrieved on 2011-12-15. 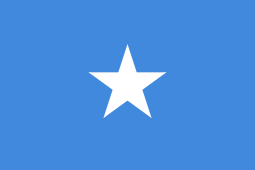 ↑ "Regions, districts, and their populations: Somalia 2005 (draft)" (PDF). UNDP. Retrieved 21 September 2013. ↑ "Obbia Airport (CMO)". World Airport Codes. Retrieved 18 September 2013.